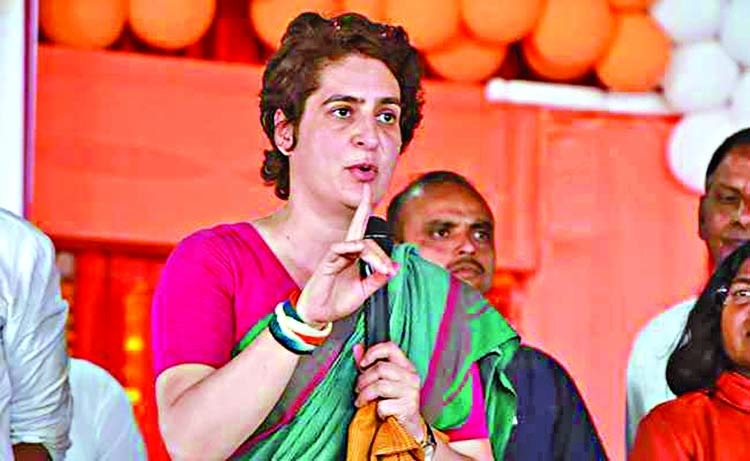 Priyanka Gandhi Vadra, campaigning in Uttar Pradesh's Fatehpur Sikri yesterday, mounted a two-point attack on the ruling BJP focusing on the narrative around nationalism and the state of potato farmers in the region. "If it is nationalist, it should stop talking about Pakistan in the election rallies. Instead, it should tell the youth, women and farmers of India as to what it is going to do about them," said Priyanka Gandhi, one of the two Congress general secretaries in charge of UP. She referred to farmers from different parts of the country marching to Delhi and attacked the government for not listening to them. Priyanka Gandhi referred to the BJP's publicity machinery saying it is drowning the truth. "I have seen the reality in the eyes of youth who complain about jobs, seen it in the eyes of potato growers who come to Raebareli and Lucknow to talk about their loans and the high costs that they have to bear," she said.She spoke about a farmer who reportedly sold his produce for Rs. 490 and sent the money to PM Modi as a mark of protest. "He sent this money to the PM to show him the truth of the country and its farmers," she said. While talking about the Congress manifesto, she mistakenly said: "There are schemes in the manifesto through which you will get free health (swastha) in government hospitals). 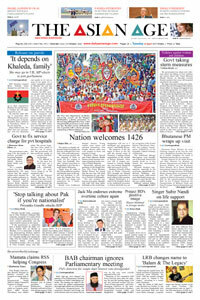 "Fatehpur Sikri will vote in the next round of the national election on Thursday. The results will be announced on May 23. She smiled and corrected herself. "Swastha nahin... matlab swastha ki jaanch aur swastha ka ilaj muft milega (Not swasth (health)...I mean diagnosis and treatment will be free). It will be great if health can be given for free)," she quipped.